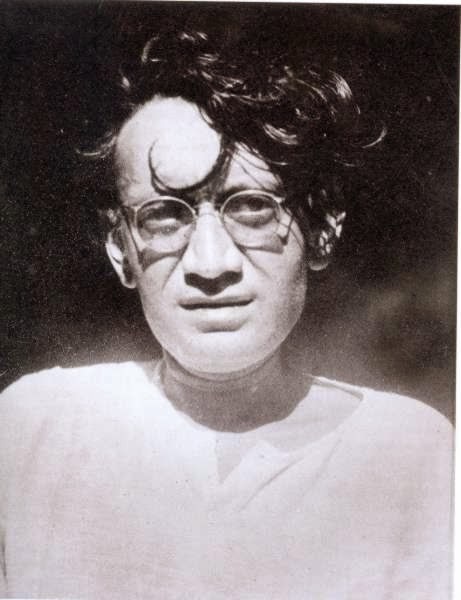 Saadat Hasan Manto : A biggest literary casualty of "Partition"
Home / Hasan / India / Manto / Pakistan / Partition / Saadat / Saadat Hasan Manto : A biggest literary casualty of "Partition"
Manto is best known for his stories about the partition of the subcontinent immediately following independence in 1947. Although he wrote essays, screenplays and one novel, Manto’s métier was the short story; he published more than 20 collections. He was an Indian F. Scott Fitzgerald, moving from north India to Bombay to sell his talents to the movie industry, and dying at 42, after a long struggle with alcoholism. If you look at his portrait photograph, you will find his eyes sparkle with intelligence, the impudence almost bursting through the thick glass of his 1940’s spectacles, mocking the custodians of morality, the practitioners of confessional politics or the commissariat of the Progressive Writers. ‘Do your worst’, he appears to be telling them. ‘I don’t care. I will write to please myself. Not you.’ Manto’s battles with the literary establishment of his time became a central feature of his biography. Charged with obscenity and brought to trial on a number of occasions he remained defiant and unapologetic.